The Discovery Center of Taipei is located in Taipei City Hall. Although it was originally the Documents Hall for the city government, after the redesign, it has become a city museum dedicated to the historical development of Taipei. The facility employs a large amount of visual and auditory data as well as interactive exhibits. When children visit the Discovery Center, they are not just able to listen; they are also able to see, hear and try for themselves. 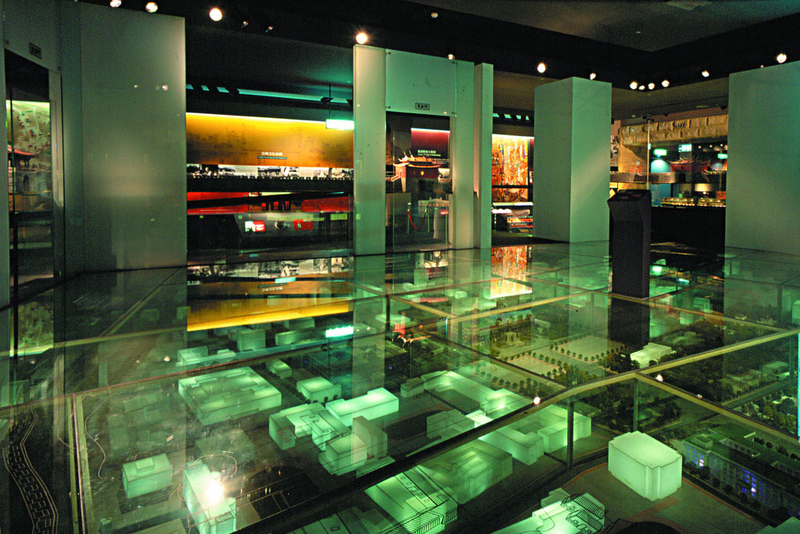 The fourth floor exhibits all of Taipei's historical records, and the installation include a model of a city wall, replicas of important articles, a folk custom experiential area and a 360 degree silver screen "Discovery Theater" which provides visitors with a full sensory experience. The third floor leads visitors on an active exploration of the streets and buildings in Taipei. Regardless of whether one starts from the first floor and proceeds upward, starting from the present and traveling into the past, or from the fourth floor down to the first, taking a tour from the past to the present, one is sure to receive a stirring tour of Taipei. Nat'l Hwy 1 →Exit at Tingding Interchange → Sec. 1, Tingding Blvd. → Maishuai 2nd. Bridge → Exit at Jilong Rd. Interchange → Sec. 1, Jilong Rd. → Shifu Rd. Take the THSR or train to Taipei Station, transfer Taipei MRT to Taipei City Hall Station.